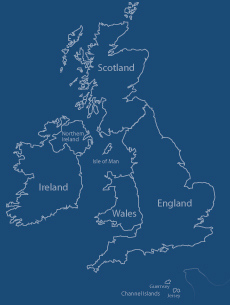 Since 1979 the International Society for British Genealogy and Family History has been helping genealogists connect to their British and Irish ancestry. Whether you are just beginning your British Isles research or are a seasoned genealogist, ISBGFH can enhance your knowledge of important resources with our quality programming, our quarterly journal British Connections, and our website. Membership in the ISBGFH is for anyone who is researching their British or Irish ancestry. The English, Welsh, Irish, and Scots have spread across the globe; their descendants now live in almost every country around the world. As an educational organization, our mission is to help you understand and apply the records and resources available in the U.S. and the British Isles. Our popular British Institute offers a week of total immersion into British research topics. Held annually in the fall at Salt Lake City, Utah, British Institute courses are especially designed to help you develop your research skills in British and Irish records. With instructors there to guide you throughout the day, classes are held each morning followed by a full afternoon at the Family History Library, utilizing their outstanding British collections and applying the research techniques and analytical skills learned in your Institute class. Our quarterly journal, British Connections, contains informative articles, news, website links, and queries. Filled with expert advice and articles to aid your research goals, it is sure to stimulate your interest in British research. Our Surname Interest database encourages connections to other members, via e-mail, to share information on mutual ancestry. Only ISBGFH members can post information about their family, but anyone in the world can send queries to those members about specific surnames found in the database. ISBGFH members can view and download issues of British Connections after clicking on the “Members Area” menu choice and logging in. Members can contact the webmaster or the membership chair for login help.